In this helpful overview we've covered what is required of you as a lift owner by Lifting Operations and Lifting Equipment Regulations 1998 (LOLER) and what thorough examinations and supplementary examinations are. When it comes to lifts there are lot of regulations that a lift owner needs to be aware of and conform to. If you are a lift owner or someone responsible for the safe operation of a lift used at work, such as a facilities manager or supervisor, you are a ‘dutyholder’ under LOLER. This means that if you are the dutyholder you will have a legal responsibility to ensure that the lift is thoroughly examined and that it is safe to use. What are the Lifting Operations and Lifting Equipment Regulations 1998? These regulations place duties on people and companies who own, operate or have control over lifting equipment - from dumbwaiters and platform lifts, all the way through to passenger lifts. This includes most businesses and organisations whose employees use lifting equipment, whether owned by them or not. This applies to lifts and hoists used to lift people or loads. The regulation requires that all equipment used for lifting is fit for purpose, appropriate for the task and suitably marked. 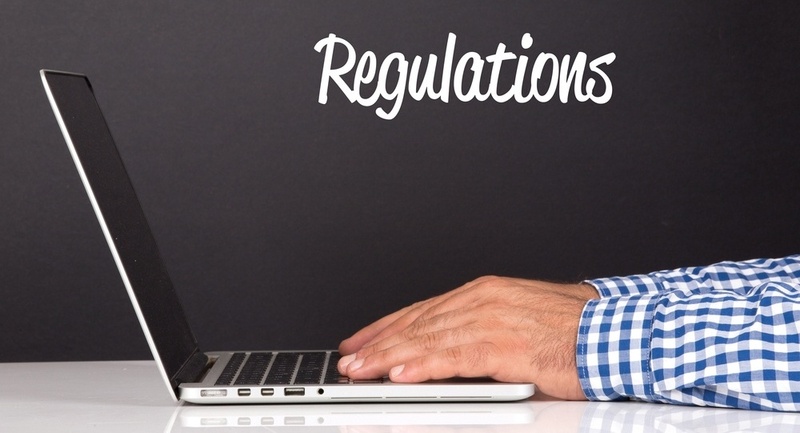 Regulation 9 denotes that lifts requires statutory and periodic thorough examinations by a competent person at regular intervals and on occasions supplementary testing. Records must be kept of all thorough examinations and any dangerous defects found will be reported to both the person responsible for the equipment and the relevant enforcing authority. A thorough lift examination is an inspection by a 'competent person' who looks for potential failures leading to a dangerous situation, therefore the focus is on load bearing elements and safety components of the lift, though general maintenance/condition may well be commented on. Think of it as the lift equivalent of a M.O.T., no remedial work is undertaken but recommendations and failures are identified. Like looking after a vehicle, the thorough examination should not be confused with regular lift servicing. It is independent of the lift maintenance. Broadly speaking maintenance is required by PUWER regulations 5 and 10 and is preventative, one does not replace the other. The thorough lift examination is required by LOLER regulation 9. It can act as a check that maintenance is being carried out properly, then if required supplementary tests follow the examination. The thorough examination may be carried out by the same company that services the lift but it should not be done by the same person. The person doing the examination should be able to demonstrate competence and sufficient authority and impartiality. This can be difficult to demonstrate when it goes wrong which is why many owners select a third party company or a large lift service provider like Stannah with specialist departments. Who is the 'competent person'? The Health and Safety Executive advises: “a competent person is someone who has sufficient technical and practical knowledge of the lift to be able to detect any defects and assess how significant they are. It is also important that the ‘competent person’ is sufficiently independent and impartial to allow objective decisions to be made. For this reason, it is not advisable for the same person who performs routine maintenance to carry out thorough examination, as they are responsible for assessing their own work”. The guidelines for supplementary testing of In-Service Lifts (LG1) are endorsed by the Health and Safety Executive and give authoritative guidance on tests that may be required to check that critical components function as designed. They are guidelines for the competent person, in order to help them decide what supplementary tests may be required and are used by the lift industry as a guide to a means of complying with the law. The competent person can be your insurance company, inspection body, lift servicing company or anyone you wish to contract as long as they are competent. What does a competent person do in a thorough examination? The competent person will normally determine what tests are required, taking account of the relevant guidance and standards and assessing the risks, considering factors such as where the lift will be used, frequency of use, age and condition, the weight of loads to be lifted, etc. A thorough examination may include some testing, if the competent person considers it to be necessary. They typically take between one to three hours depending on type, age, travel and condition of the lift. This person then reports on the examination to the lift owner and, if appropriate (e.g. a dangerous condition that might affect the safety of the lift) the enforcing authority (the Health and Safety Executive or local authority) so that appropriate remedial action can be taken. They may also specify further supplementary tests if identified as being necessary. As a lift owner, if you are notified of a serious and significant defect you should immediately take the lift out of service until the fault has been addressed. If you do not take the lift out of operation you risk breaching the law. The competent person may also notify you of defects which need to be made good within a certain timescale. In this case, you should take steps to have the defective equipment repaired or replaced within the specified time. How frequently are they undertaken? For passenger carrying lifts in a place deemed to be a workplace they are typically carried out every six months (though there are exceptions) and for non passenger carrying lifts every twelve months. These thorough lift examinations may also be supplemented by regular lift inspections. These additional checks should be carried out at suitable intervals and may be done ‘in-house’ by a competent, trained employee. Inspections normally include visual and functional checks, e.g. that the alarm interlocks operate correctly and lift doors cannot be opened from the landing side. A thorough examination once complete may identify the requirement for a supplementary test. Supplementary tests maybe called for by the competent person to demonstrate safety components and machinery fulfil their functions; therefore, they are supplementary to the LOLER thorough examination. There is guidance published endorsed by the HSE (known as Safed guidance or LG1's) for the compentent person to make a judgement on what tests to call for. They are a legal requirement, when asked for by the competent person, and provide ‘best practice’ for lift maintenance and should an incident occur, the lift owner or premises manager may be prosecuted and judged against ‘best practice’. Who can carry out supplementary lift testing? The contracted lift maintenance company usually carries out the supplementary test. This is either because the competent person cannot carry out dynamic testing, or are not resourced to, but they may want to witness the test or as in most cases call for evidence that they have been done. Stannah has skilled engineers to complete the supplementary tests required by the ‘competent person’ carrying out a thorough examination. Our experience enables us to detect, report on and correct any deficiencies in an efficient manner and Stannah’s Planned Maintenance Schedule includes many of the tests prescribed. When is supplementary lift testing carried out? It can be done any time and some, such as testing locks for example, are done during a service in any case. 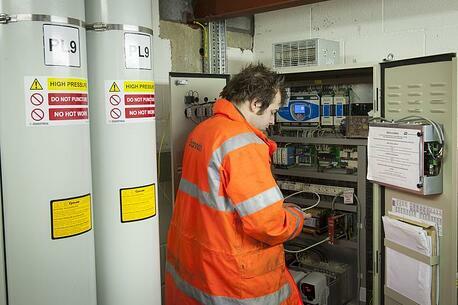 Some tests require loads and dismantling therefore would be done independently of the service for practical reasons. They usually take between a half day and a full day depending on the type of lift and tests required. There can be numerous outcomes from this testing; if all is well then evidence can be produced to the owner, or a requirement for a repair is identified. This requirement for repair can be remedial work completed whilst machinery is dismantled for the test, or be a quote for the remedial work. In most cases the lift will be corrected at the time and re-tested, but if not then the lift will likely be placed out of service. This can vary from one to ten years depending on safety components or machinery used. However, a competent person may call for a supplement lift test if they have a reason to do so, e.g. poor environmental conditions. At Stannah, we are proud of our consultative services. We are more than happy to advise customers on the safe and effective management of their lift products, from planning maintenance through to advising on inspection regimes. 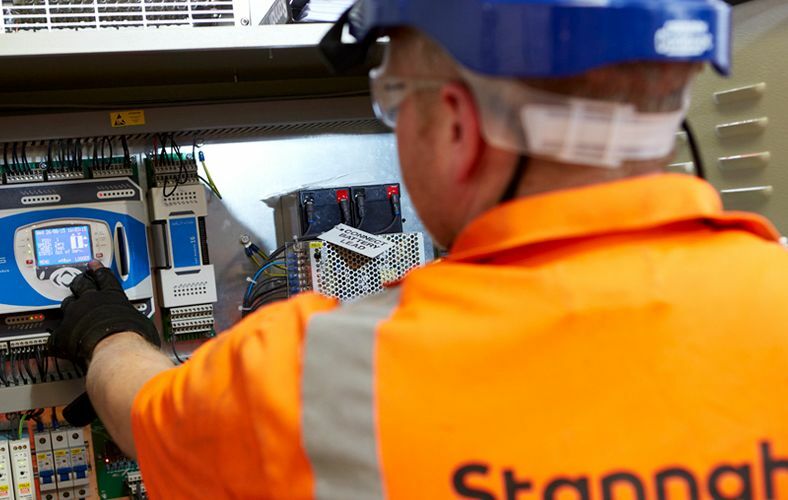 Stannah has fully trained and competent engineers who can be your appointed 'competent person' to carry out thorough examinations of all your lifting equipment (no matter what make or model) and make recommendations for repair. A separate Stannah maintenance engineer would then carry out the work. Stannah can also carry out supplementary testing of in-service lifts and issue certificates, no matter what make of lift you own. Our engineers will carry out the tests in accordance with industry guidelines, in addition to adhering to safe working methods at all times.